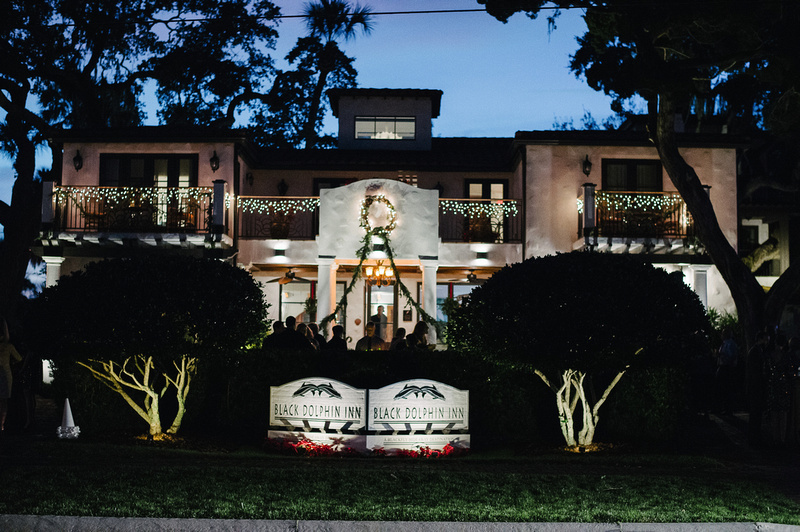 A fun, fashionable and sophisticated wedding destination has arrived in New Smyrna Beach – the Black Dolphin Inn. 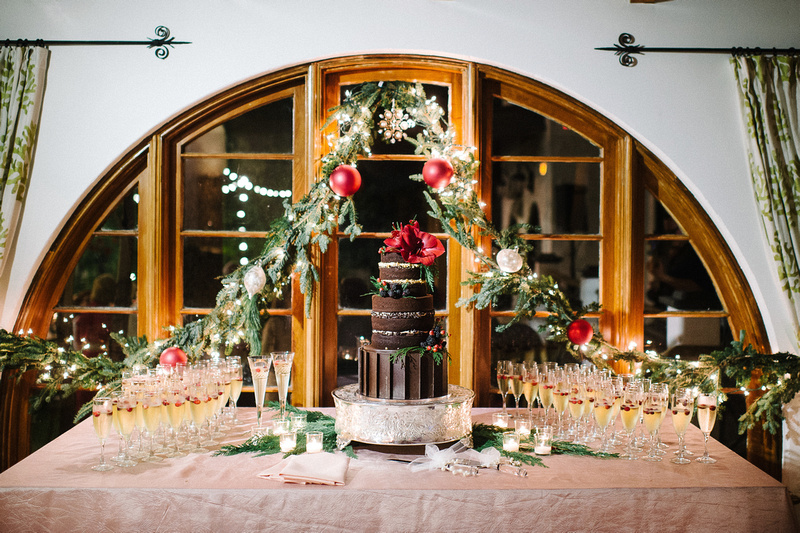 Whether a romantic fairytale party of up to 100 guests, or an intimate gathering of your closest friends, the Black Dolphin Inn features a selection of outdoor venues that are perfect for bridal and special occasion events. Our staff will tailor your wedding or special occasion to your exacting specifications and can help you create a day that you will never forget. The Black Dolphin Inn, which is located on the shores of the Indian River and Atlantic Intracoastal Waterway, features a confluence of Spanish Isle, Mediterranean, Moorish and Cuban architectural influences, complimented by an eclectic interior design mix of mid-century furnishings. The old Florida artwork and antiques mixed with modern design elements create a one of a kind experience while setting new standards for luxury and style. Bring your family and friends to the Black Dolphin Inn for a very special and memorable weekend as you take over the entire Inn, featuring 14 guest rooms and suites which are light, airy, uncluttered and fitted with a sophisticated interior and stylish furnishings. The feel is more akin to an impeccably designed oasis, without the trappings of a commercial hotel product. 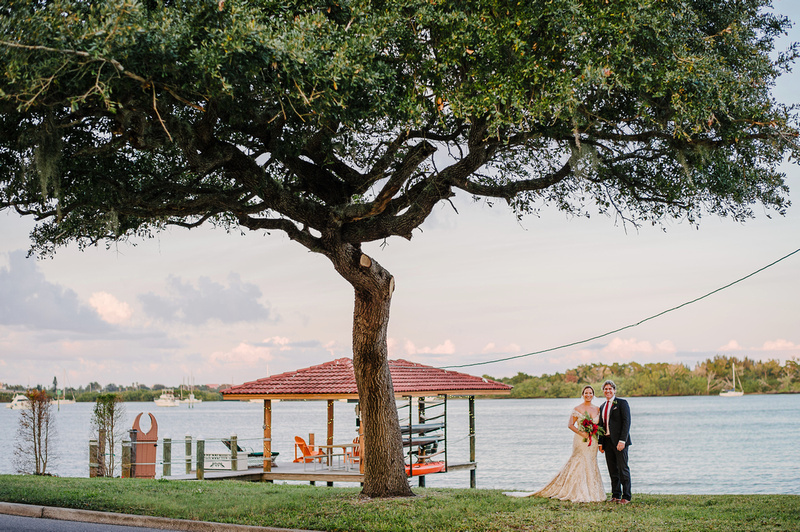 You will be able to conduct your rehearsal dinner, recite your vows and celebrate your union amidst a canopy of century oaks and palm trees – set against the backdrop of the Indian River. Enter in grand style by arriving by boat at our private dock or by a horse drawn carriage - the possibilities are unlimited! We look forward to making your wedding the most memorable, special day of your life. The Black Dolphin Inn has a capacity for up to a maximum of 75 attendees for outdoor events depending on the location for weddings, special occasion events, and group functions. Indoor space is limited – with a maximum capacity of 20 guests. All outdoor events, in which the number of attendees exceed 20 guests, will require the use of an on-site rental tent as the indoor space capacity is insufficient in terms of back-up space in the event of inclement weather. The Black Dolphin Inn requires that all 14 hotel room and suites in our boutique inn be booked – for a minimum guarantee of (3) three consecutive nights over a weekend and (2) two consecutive nights during weekdays (subject to availability). In the event that room cancellations occur or the guaranteed room block does not get filled – the corresponding rooms cannot be released back into inventory and made available for rent by the Black Dolphin Inn. The Hotel Room Block Contract requires a 50% non- refundable deposit for each unit to secure the room block – inclusive of the applicable state and local bed taxes. The Black Dolphin Inn features several areas on our property for your event. Facility charges are based upon the season, day of event, duration of the function, entertainment specifications and the number of attendees. This non-refundable fee, in a sum which ranges from $2,000 to $3,000, will be detailed in the Banquet Event Order. A Florida State sales tax equivalent to 6.5% will apply. Facility Usage fees will be provided upon request as the cost will vary – dependent upon the size and scope of the event. The Black Dolphin Inn specifies a minimum spend of $100.00 per person – for all food, appetizers and beverages served on our premises. This is net of the 22% service charge, 6.5% Florida sales tax, bartender fees, labor, equipment rental, recreation activities and other related fees. A non-refundable deposit, equivalent to 50% of the projected Food & Beverage cost as defined in the Banquet Event Order – will be required within 60 days of the scheduled event. In arranging private food and beverage functions, the final attendance must be received in writing no later than (14) days prior to your function(s). The number will be considered your guarantee, not subject to reduction, and charges will be made accordingly. 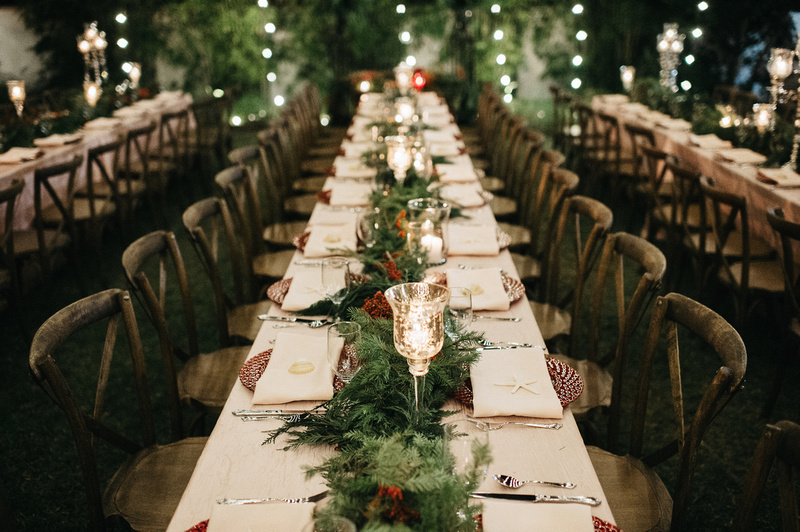 If the guarantee is not received by the due date, the approximated number of attendance as stated in the last revised Banquet Event Order will be used as the guarantee and you will be billed at this number or the actual number of guest’s served- whichever is greater. We will be prepared to serve 5% more than the final guarantee up to a maximum of 10 guests. Details for the Banquet Event Order(s) shall be finalized a minimum of twenty-one (21) days prior to the actual event(s). All food and beverage is subject to a 20% taxable service charge and applicable Florida State sales tax. All other ancillary charges are subject to Florida state sales tax. Final menu prices may be confirmed ninety (30) days prior to your functions. Food and beverage pricing is subject to change without notice. Pricing may be guaranteed up to (6) months if requested and confirmed in writing. If there is a change in guest counts, event times, dates, meal functions, or set-up, the Black Dolphin Inn reserves the right to re-locate your event to a more suitable on-site event space. The Black Dolphin Inn reserves the right to substitute event space as required to meet the needs of all groups in house on these same dates. We appreciate your cooperation in following your scheduled times or advising your Black Dolphin Inn representative of any changes. The Black Dolphin Inn requires that all wine and beer beverages be purchased and dispensed only through its employees and bartenders. The Black Dolphin Inn's COP2 beer and wine license requires the Black Dolphin Inn to (a) request proper identification (ID photo) of any person of questionable age, and refuse alcoholic beverage service to a person under age or when proper identification cannot be produced; and (b) refuse alcoholic beverage service to any person who, in the B&B's sole judgment, appears intoxicated. Alcoholic beverages are not permitted to be removed from the premises. No beverage shall be brought in or distributed at the Black Dolphin Inn by patrons or attendees from outside sources as the Florida Liquor Control Board, a Division of the ABT -administrates the sale and service of alcoholic beverages and the Black Dolphin Inn must adhere to those regulations. If anyone brings onto the premises any alcoholic beverages and distributes it any guests on the property, management will reserve the right to ask them to vacate the premises. Food and beverage pricing is subject to change without notice. Pricing may be guaranteed up to (6) months if requested and confirmed in writing. 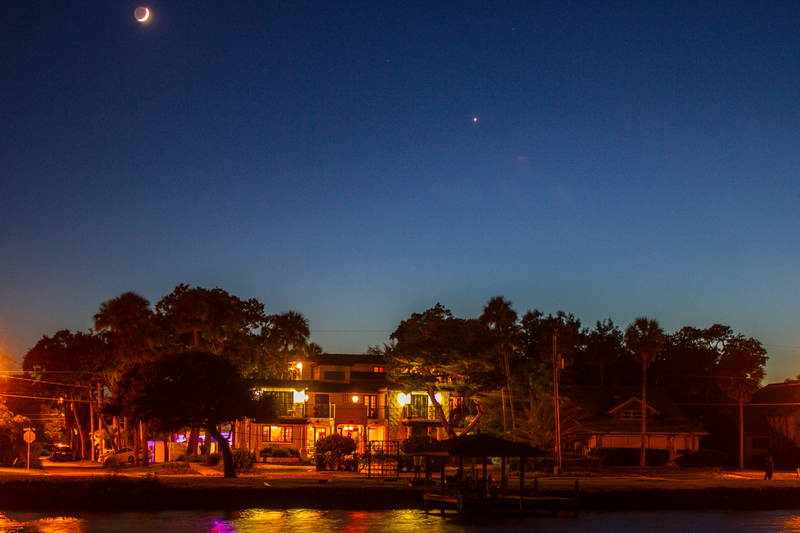 The Black Dolphin Inn is tucked away in a quiet residential neighborhood – along the shores of the Indian River. 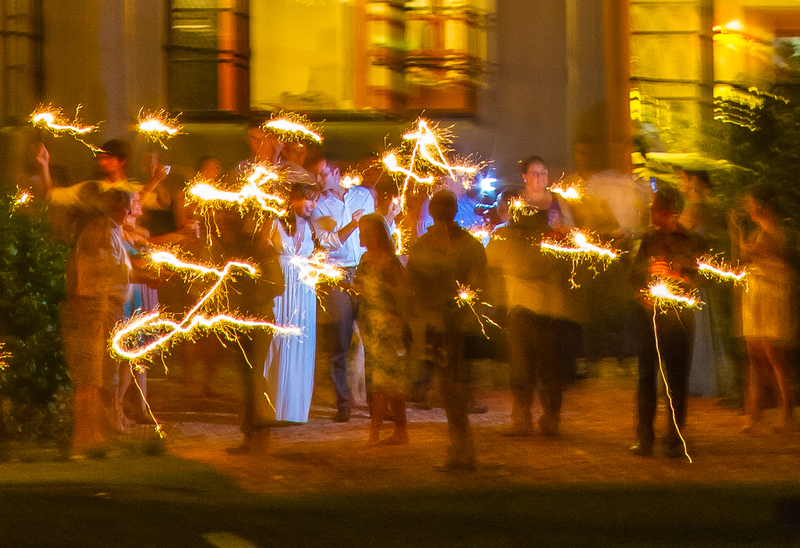 In consideration of our neighbors, dancing and music may only be scheduled until 10:00 pm in our outdoor venues. All outdoor entertainment must be non-amplified. A bonded and licensed DJ is permitted – and local ordinances will govern the decibel levels of the sound. In addition to this, the Black Dolphin Inn reserves the right to lower the volume of indoor amplified music, if in its opinion – it adversely affects our neighbors in any way. 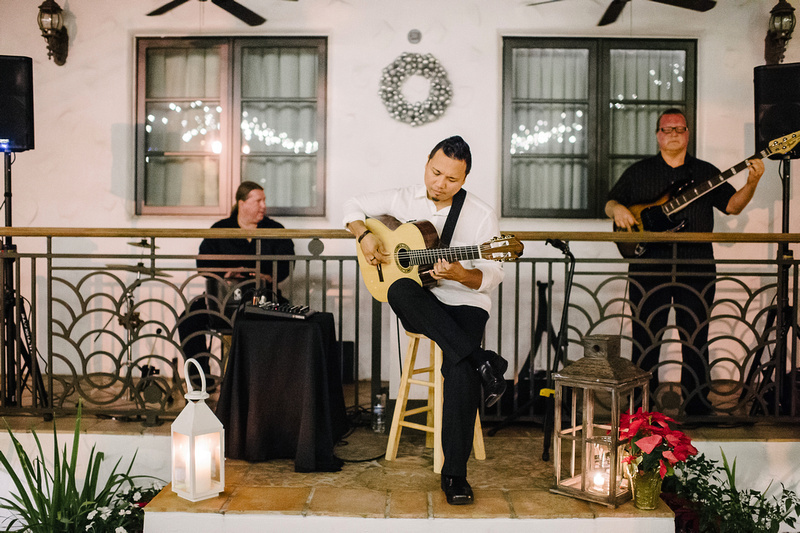 Our staff will work with you to ensure that the music selected is appropriate for the setting. For the privacy and comfort of our guests, professional/wedding photographs are not allowed on the property without the written approval from the Black Dolphin Inn management team. As the Black Dolphin Inn is not a full service event facility, we do not provide actual wedding planning services. 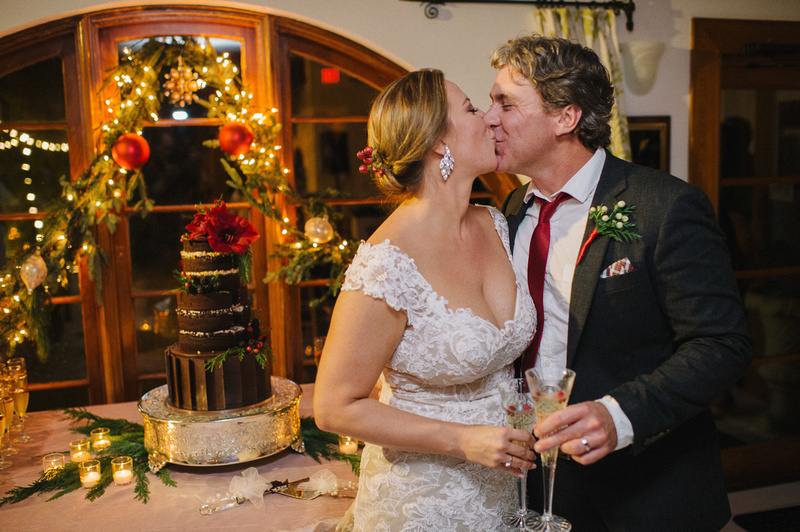 All weddings at the Black Dolphin Inn require the engagement of an outside rental company for photography and video, equipment such as tents, tables, chairs, linens, plates (dinner, salad, & cake), cutlery and glassware (water, champagne, wine, & beer) and/or entertainment services. 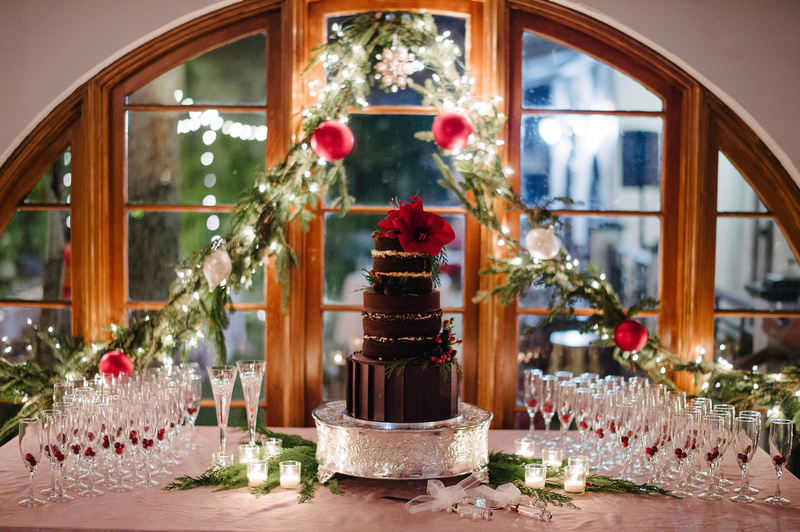 To ensure that your event is top-notch, all outside catering, equipment rental, set-up, floral arrangements and other decorative work must be approved by the Black Dolphin Inn to ensure the proper licensing of such businesses and companies. 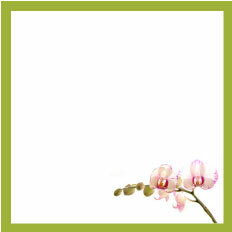 We do, however, provide a list of Local “Preferred” Wedding Services from which to choose for your special occasion. The rental company will be responsible for the rinsing and washing of all dishes, glasses, and flatware. All rental equipment must be picked up the day in which the event has concluded. 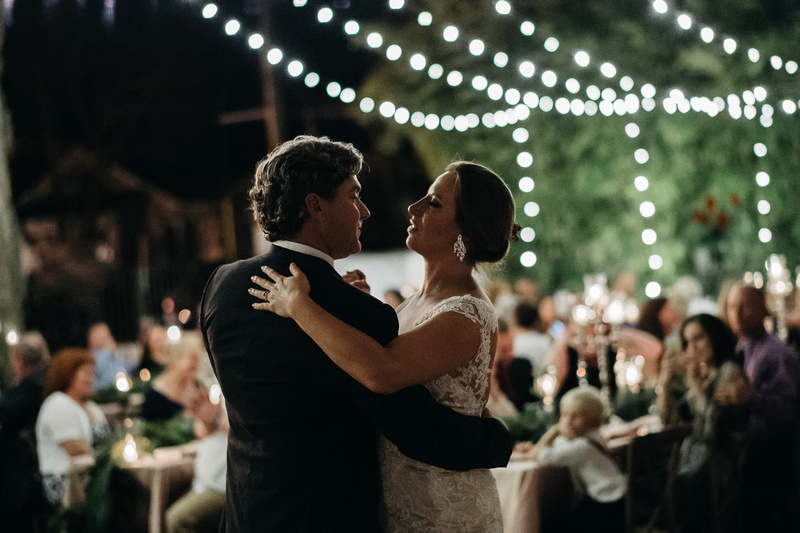 Other rental equipment considerations might include a tent (Mandatory) outdoor portable heaters cocktail tables, table number stands, chair and table skirting’s, dance floors, lighting, and place settings. Please review any set-up and breakdown fees with your rental equipment company. Complimentary on-site parking is very limited – especially for parties larger than 20 attendees. The Black Dolphin Inn has a satellite parking lot at the One Accord Christian Ministry's Church which located at 714 Magnolia Street, New Smyrna Beach. The parking lot is 800 ft. from the Black Dolphin Inn and has capacity for approximately 25 vehicles. In some instances, the Black Dolphin Inn may require you to hire a third party valet or shuttle service to transport guests. Valet parking will not be available through the Black Dolphin Inn. Our staff will work with you to coordinate all parking arrangements. The City of New Smyrna Beach legislates strict controls regarding the placement, size, and type of outdoor signage on the premises. Accordingly, no additional outdoor event signage can be displayed on the premises – without written authorization from the Black Dolphin Inn. Marriage Licenses in Florida are regulated by the State – but are issued by the County Clerk’s Office. There are Volusia County Clerk Offices in Daytona Beach and Deland. Most offices are open from 8:00am to 4:30pm and no appointment is necessary. The cost is $93.50 with the completion of an approved marriage preparation course. For Florida residents, there is an additional 3 day wait for couples who do not wish to complete the course. Applicants will need their social security number and a valid driver’s license of picture ID. Non US citizens may use a passport for identification. Both the bride and groom must be present at the time of application. If you or your spouse to be has been previously wed, you must provide a copy of the divorce papers indicating the date the marriage ended. Marriage licenses can be used statewide. An initial non-refundable deposit, equivalent to 25% of the estimated charges is required upon signing a contract in order to hold your event on a confirmed/definite basis. The deposit is due within (10) ten days of contract. Another payment of 50% of the estimated charges is due (90) ninety days prior to the event. Full payment of the estimated charges is due 30 days prior to the event. The Black Dolphin Inn is committed to providing exceptional guest accommodations and common area space for the enjoyment of our guests. While we do expect some wear and tear, we must hold our guests responsible for any damage to our furnishings or building facilities which may include, but not be limited to, spills, stains, burns and other related damage. Should the damage require the unit to be placed in an out-of-order status, the guest will be responsible for any room lost revenues as determined by the Black Dolphin Inn. Please report any damage as quickly as possible so that we can assess the cost that the guest will incur in a fair and equitable manner. This prompt action is also vitally important in terms of returning the guest accommodations to our room inventory for rental purposes and to restoring our building facilities and common areas to their original condition for the functional use and enjoyment of our guests. Should it be necessary for you to cancel the function(s) after this agreement has been signed, The Black Dolphin Inn will be entitled to liquidated damages based on the following scale. Amount is based on the attrition section of the contract letter or if the banquet event order has already been produced, the larger of the two amounts. Payment for liquidated damages due as the result of cancellation of the Agreement shall be made at the time of cancellation. In the event that the Black Dolphin Inn is able to re-book an event of equal or greater value, the Black Dolphin Inn will refund the cancellation payment less the non-refundable deposit .Either party may cancel this Agreement, with written notice to the other, without liability as the result of acts of God, over which neither party has control, government regulation, terrorism, disaster, strikes, civil disorders, unavailability of transportation systems consistent with those in existence at the time of contract, or any other factors over which neither party has control, making it impossible or illegal to conduct the program consistent with those conditions that existed at the time the contract was entered into. Should the Black Dolphin Inn find it necessary to re-schedule your event due to an act of God, all deposits will be forwarded to an alternative date. The event must be re-booked within one (1) year of the original event date. An amount equal to 75 percent (75%) of food, beverage, facility usage, and related fees, contract labor and service charge revenues. What is the maximum size party you can accommodate? We can accommodate groups of up to 75 guests. 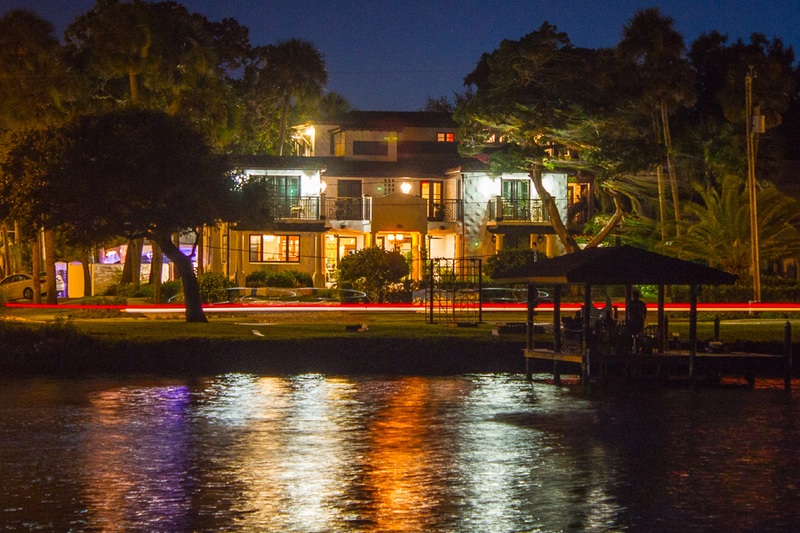 Do you have to book the entire hotel in order to have a wedding at the Black Dolphin Inn? Yes, you must book all of our 14 units for a minimum of 3 nights over any weekend and a minimum of 2 nights during the weekday (Sunday through Thursday). 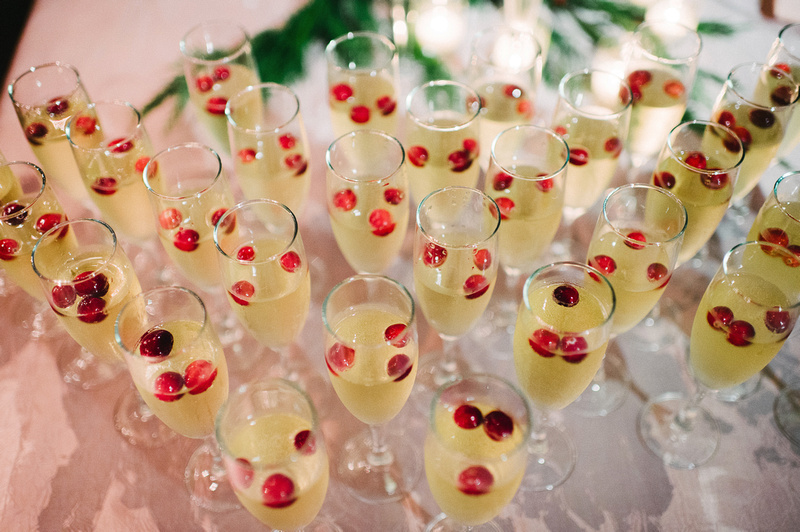 What days of the week are available for weddings and do you allow weddings all year round? Weekend weddings, subject to room availability - can only be scheduled during our off-season which is the months of August through December. Weekday wedding dates are flexible and will be evaluated on a case by case basis. Black-out dates may apply during holidays, and special event promotions. Do you allow guests to bring in their own beer and wine? 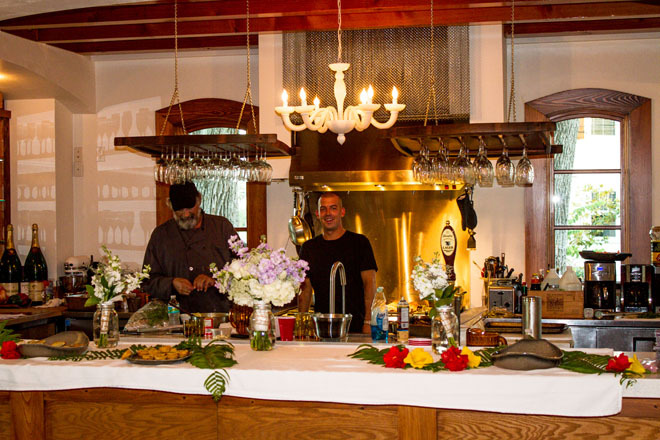 The Black Dolphin Inn is the sole purveyor of all food and beverages for on-site events. The state of Florida regulates the sale and service of all alcoholic beverages, and the Black Dolphin Inn must adhere to these regulations. It is the Black Dolphin Inn’s policy that all alcoholic beverages are provided by our boutique inn. Does the beverage cost include champagne for a ceremonial toast? No. This will be a separate surcharge from the all inclusive beer and wine pricing structure, based on the champagne selected and the quantity ordered. In determining the number of bottles ordered, the typical conversion is 8 toast portions per 750ml bottle. What are your Food and Beverage minimum spending requirements – on a per person basis? The Black Dolphin Inn requires a minimum Food & Beverage spend of $125.00 per person – net of taxes, gratuities, bartender fees, equipment rental, entertainment, and other related wedding products and services. How are the appetizers served? All appetizers will be served on multiple food stations and will be set-up in accordance with the specifications of the wedding party. Guests are welcome to visit all of the food stations during the course of the dinner. If butler service is preferred - an additional fee of $30.00 per hour will apply - based on a minimum of 2 staff members for a minimum of 2 hours. Do you offer a plated dinner option versus a buffet or family style option? Due to refrigeration, storage, and space limitations - the Black Dolphin Inn does not offer plated dinner service. A family-style option is available for the Low Country Boil, which is our most affordable themed buffet. All other themed menu selections will be set up on our Lobby bar - which is approximately 26 feet in length. All beverages, beers, and wines will be set up in the Lobby Beverage Refreshment area - adjacent to our bar and open-air exhibition kitchen. 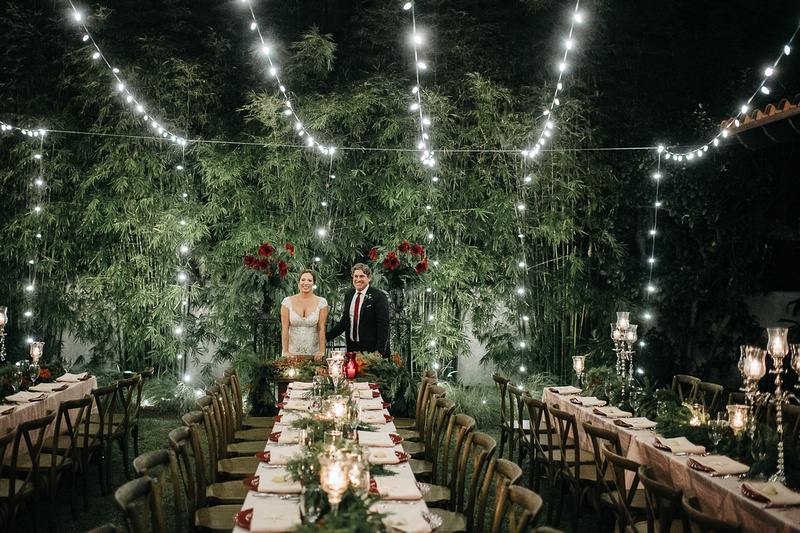 Am I required to rent a tent in order to host a wedding reception at your property? Due to limited indoor function space, any parties in excess of 20 guests will be required to install a tent on our premises in order to secure a secondary function space in the event of inclement weather. 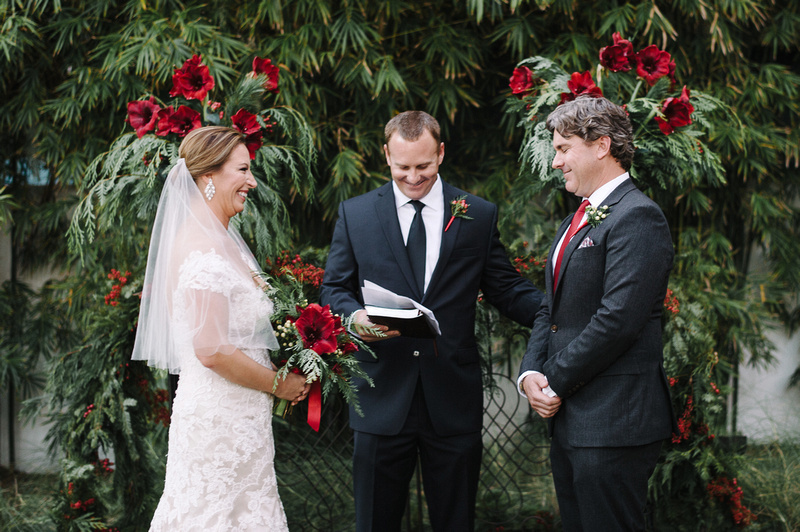 Do you require a wedding planner or "day of coordinator?" 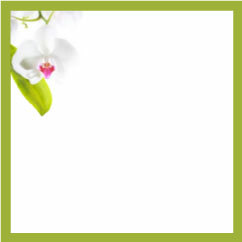 The wedding party must enlist the services of a wedding planner or a day of coordinator. Several reliable options can be found on our Local Wedding Resource List. Do you allow guests to bring in their own food and/or caterers? Is there any way to avoid a Wedding Facility Usage Fee? Since the Black Dolphin Inn has a COP2 license (Beer and Wine only), am I able to bring alcohol and spirits onto the property? Yes we do. The Black Dolphin Inn culinary team will discuss children's menu options and pricing with you. Do you provide menus for vegan, vegetarian, and other dietary restrictions? Yes, we do. We respectfully ask that you advise us in advance of any special dietary restrictions your guests may have, so that we can provide appropriate meals for them. Is there a deposit required for a wedding? To confirm your event at the Black Dolphin Inn, a non-refundable deposit of 25% of the minimum estimated charges is due within 10 days of the contract – net of the cost of your room accommodations. Another payment of 50% of the minimum estimated charges is due 90 days prior to the event. Full payment of the estimated charges is due 30 days prior to the event if paid by check. The final payment is due 14 days prior to the function if paid by a cashier’s check or credit card. This deposit will not be refunded if all or part of the event is cancelled. Do you have any on-site parking restrictions? Due to limited parking space on site, your guests will be instructed to self-park their vehicles at our “satellite” parking lot located at 715 Magnolia Ave. This is the site of the One Accord Christian Ministries which is located approximately 2 blocks to the north of the Black Dolphin inn. Do you offer an Elopement Package as an alternative to a Wedding? 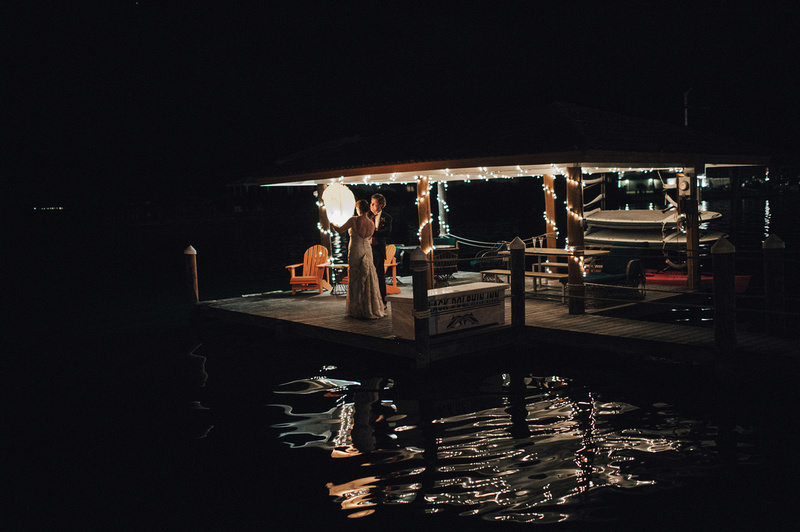 The Black Dolphin Inn is pleased to offer an elopement package - which is ideally suited for a "last minute" wedding getaway. For more information please Click here. The Black Dolphin Inn offers an elegant and exceptional wedding experience with a varied choice of menus from which to choose. Our culinary experts will combine an impressive regional, yet sophisticated cuisine with an exquisite presentation to please your palate and impress your guests. Our Themed Menu Banquet Options offer a Low Country Boil - a mouth-watering family recipe, Old Southern Barbecue, Farm-to-Table Southern Tradition Buffet and many delectable choices with the Spanish Tapas selection. The Low Country Boil or Frogmore Stew, as it is also known – can be traced back to the Gullah/Geechee people of the Sea Islands located along the coast of Georgia and South Carolina. Menu’s and pricing are subject to change. A service charge of 22% and a 6.5% Florida Sales tax will apply. Effective January 1, 2018. Our beverage options list many choices of beer, both imported and domestic, premium wines, soda and bottled water. We, at the Black Dolphin Inn, pay attention to detail when it comes to providing the perfect beverage paired with your choice of dining menu. The Black Dolphin Inn Beverage menu includes all ice, set-ups, and paper products. Bartenders are paid by the hour at a cost of $30.00 (Minimum 2 hour set-up). Suggest 1 bartender for every 35 attendees. Quoted beverage prices do not include 20% gratuity and 6.5% Florida State Sales Tax. Your Luncheon Buffet will be elegantly taken care of by our culinary staff, providing many selections. including soups, salads and finger sandwiches, along with delightful dessert choices. Combine the delectable menus with the impeccable setting and you will have an event not soon forgotten. Details for the Banquet Event Order(s) shall be finalized a minimum of thirty (30) days prior to the actual event(s). All food and beverage is subject to a 22% taxable service charge and applicable Florida State sales tax. All other ancillary charges are subject to Florida state sales tax. Food and beverage pricing is subject to change without notice. Pricing may be guaranteed up to (6) months if requested and confirmed in writing. 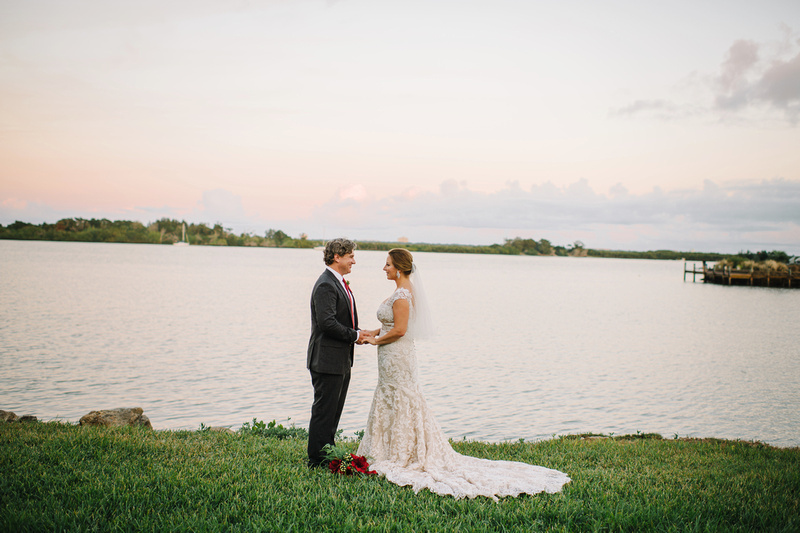 Weddings at the Black Dolphin Inn offer a warm, tropical, riverside backdrop with every detail handled professionally, tastefully and creatively. The elegant and romantic ambiance is perfect for your intimate wedding, private elopement, renewal of vows or commitment ceremony. Below is a listing of local wedding resources from which to choose for your special occasion. Escape to a place where glamour and sophistication blend seamlessly with a relaxed coastal vibe - where passing yachts, moored sailboats, dolphins playing, and frolicking birds set the tone for an exceptional meeting and banquet experience. At the Black Dolphin Inn, along the shores of the Indian River - our intimate B&B is ideally suited to accommodate board meetings, corporate retreats, team building events and training sessions. Our outdoor meeting space features a number of different venues, many of which offer sweeping and picturesque views of the bay - where gala celebrations, family reunions, and truly unforgettable special events can be customized to your specific criteria. • High speed internet and WiFi service "complimentary"
Located less than half of a mile from Black Dolphin Inn, this facility was opened in August 2016 and offers a stunning view of the Indian River, a large outdoor terrace, state-of the art equipment, and a professional staff. Please visit The Brannon Center website for more information.